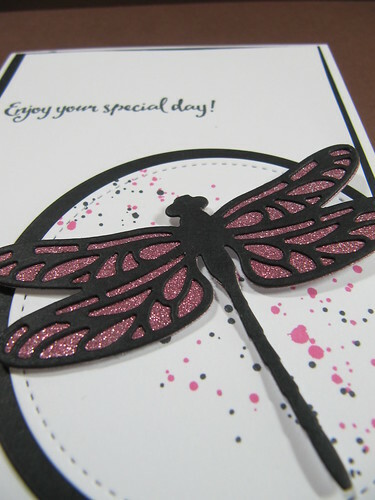 Today's card is pink, sparkly, and a lot of fun to make. All the stamps and dies I used are from Stampin' Up. 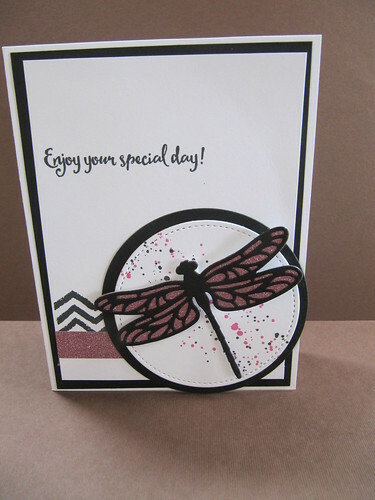 I used Dragonfly Dreams for the dragonfly die and sentiment. 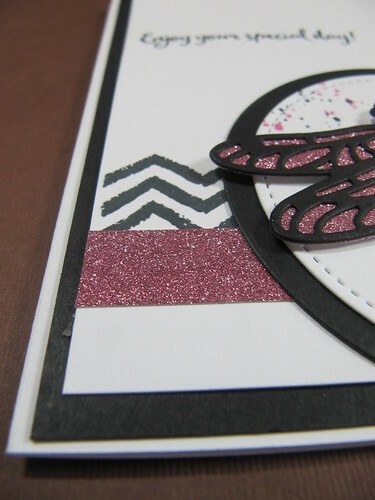 I also used Gorgeous Grunge and Work of Art for the black splats and chevrons. The white stitched circle comes from Stampin Up as well.